Devang Gautam is part of the Litigation team at Krida Legal. Having a considerable experience of Civil Litigation, he has assisted on behalf of his clients in front of Delhi High Court as well before the Supreme Court of India. Devang has also worked in the field of Electricity and Petroleum Laws. He has also represented his clients in various commercial arbitrations. Devang also advises clients on various civil cases like Injunction Suits, Eviction Petitions, Deposition of Rent, Partition suits, Consumer Disputes, Writ Petitions etc.He regularly appears before the Delhi High Court and various other Trial Courts. 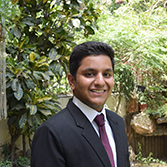 Devang is a passionate aboutonline games and is an ardent player and has represented his Alma Mater in Zonal tournaments.